If you’re tired of sorting through mediocre applications and posting jobs on Craig’s List, consider our graduates for your next hire. Cleveland Bartending School graduates receive certifications from Serv- Safe and PBSA ensuring safety and accuracy. This means you can rest easy knowing whether you’re there or not, your next hire won’t pour your money down the drain. Also, our graduates are known for the friendly disposition and courteous demeanor. This will keep your customers coming back for more than just the refreshing drinks. Every step of our hiring service is free of charge. No gimmicks, back-door deals or fees. It’s completely FREE. Just submit the form below to set-up a personal interview to help us find you the perfect fit behind your bar. Or call the BARTENDER HOTLINE at 1-216-382-1450. Had enough stress? Let us do some of the work for you. The Cleveland Bartending School help you find the right bartenders and supplies to make your event be the event your guests talk about for years to come. The Cleveland Bartending School graduates are the best at what they do no matter where they go. Just give them a bar and let the good times roll. 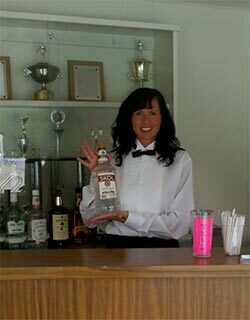 So, whether you want to add some more sophistication to your soiree or add some swag to your barbeque consider Cleveland Bartending School for your bartending needs.